Iran's Foreign Minister says Iran has other options after IAEA confirms Iran's compliance with 2015 deal. 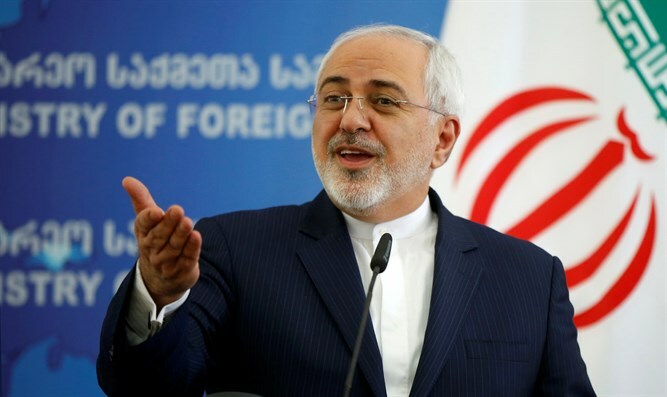 Honoring the 2015 nuclear deal with world powers is not Iran’s only option, its Foreign Minister said on Thursday, after the UN’s atomic energy agency confirmed that Iran is complying with the agreement. “If preserving JCPOA is the goal, then there is no escape from mustering the courage to comply with commitment to normalize Iran's economic relations instead of making extraneous demands,” Foreign Minister Mohammad Javad Zarif wrote on Twitter, using the acronym for the Joint Comprehensive Plan of Action, as the 2015 deal is officially called. “Being the party to still honor the deal in deeds and not just words is not Iran's only option,” he added. Earlier, the International Atomic Energy Agency (IAEA) released a new report in which it confirmed that Iran is sticking to the terms of the nuclear deal signed with the United States, China, Russia, Britain, France and Germany. The latest report says the IAEA had had access "to all the sites and locations in Iran which it needed to visit". The agency repeated language in its previous report emphasizing the importance of "timely and proactive cooperation in providing such access" on Iran's part. The report comes as the deal’s future remains in question after U.S. President Donald Trump withdrew from the accord in May. Recently, the President signed an executive order officially reinstating U.S. sanctions against Iran.